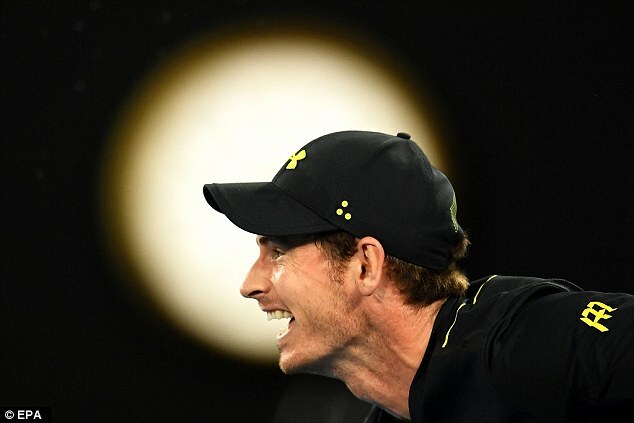 Andy Murray was grateful for the sturdy ankle supports he wears after fearing he could have seriously damaged his chances of a first Australian Open title. 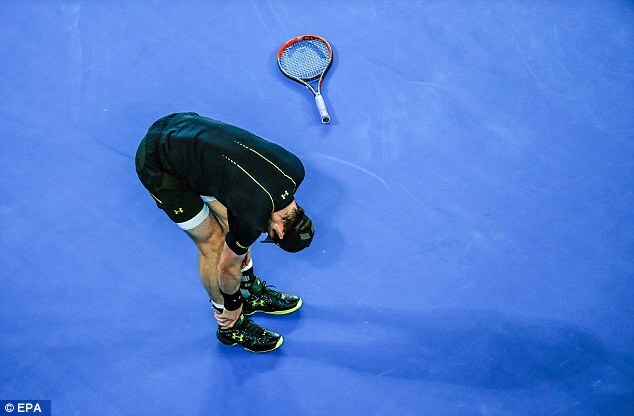 The world No 1 suffered an awkward tumble behind the baseline during a straight-sets schooling of Russian teenager Andrey Rublev, but does not expect any problems for his third round against big-serving American Sam Querrey. The scare came in the third game of the third set in a 6-3, 6-0, 6-2 victory that took only 97 minutes. 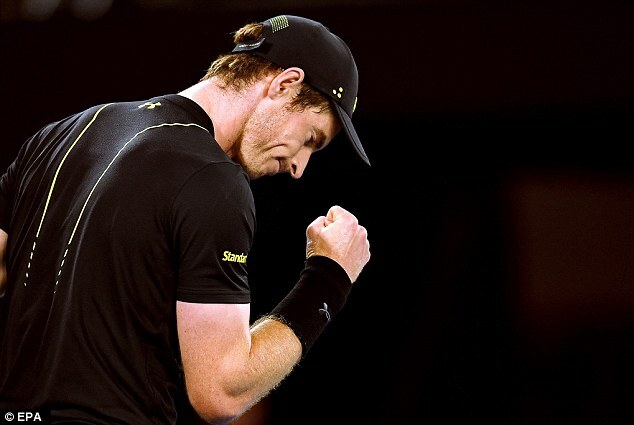 Murray felt later there should be no after-effects when he takes on Querrey, who knocked Novak Djokovic out of Wimbledon last summer at the same stage. Murray has been using the supports since his early twenties. ‘They do help in those situations,’ he said. ‘I haven’t done that (fallen) too often since I’ve been wearing them but they have helped me a couple of times. ‘I heard a few sort of little crackles and it was sore. It was throbbing for the rest of the match. ‘I was moving fine on it, though. Normally if it’s something like a serious ankle injury, you can’t put weight on your foot. Querrey is the first seed Murray will run into and it looks a more dangerous match than his potential fourth round. That would be against Tunisian Malek Jaziri or Germany’s Mischa Zverev, less feared older brother of Alex. Murray has a 6-1 record over 6ft 6in American Querrey, the one loss being in the final of the now defunct ATP event in Los Angeles in 2010. Rublev has a heavy ball strike and will be a handful in time, but Murray was too consistent for him yesterday. The Scot walked on court just as his compatriot Dan Evans was concluding arguably the tournament’s biggest shock so far by beating seventh seed Marin Cilic. 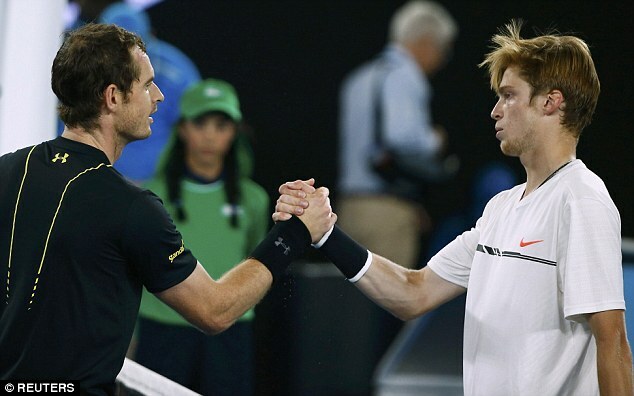 ‘I saw quite a lot of Dan’s match,’ Murray said. ‘I’m really happy for him because he’s a nice guy. He’s talented. He does work hard. He competes well. In the women’s singles, Britain’s Jo Konta was due to play Japan’s Naomi Osaka this morning. Konta’s compatriot Heather Watson was scheduled to face American qualifier Jennifer Brady.